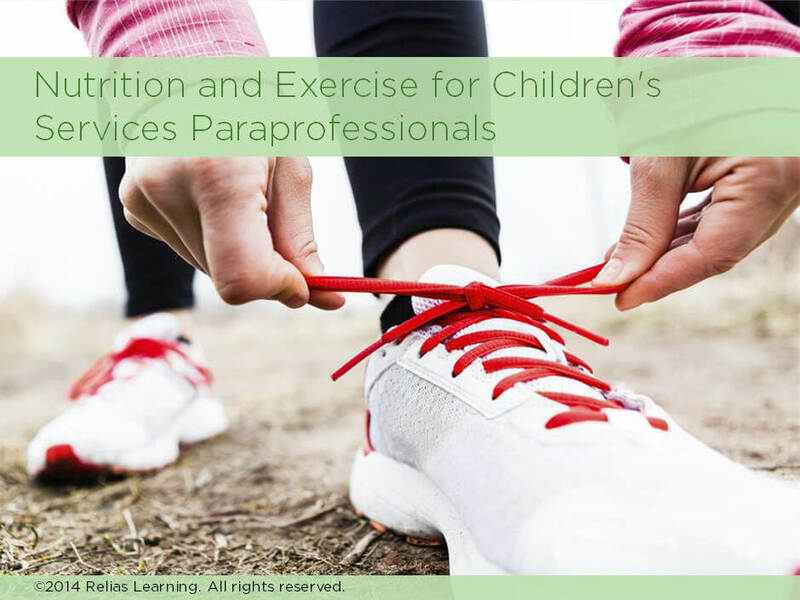 This course addresses how nutrition and exercise can impact behavioral and physical health in children and adolescents. As paraprofessionals working in the field of behavioral health, you can use what you learn in the course to help clients and their caretakers make the connection early on between what they eat, what they do, and how they feel. The course will cover general principles of nutrition and exercise; how to relay these principles to your clients and include them in your treatment plan; and how nutrition and exercise can have both a positive and negative impact on behavioral health. You will also learn how medications (e.g. psychotropics) can affect nutritional status and what other nutrition-related health issues may be relevant to behavioral health. Working through a variety of scenarios will help you process and apply these principles. State the general principles of a healthy approach to nutrition and exercise for children and adolescents. Discuss how nutrition and exercise impact behavioral health and vice versa. Describe an effective approach to discussing nutrition and exercise with young clients and create an integrated treatment plan. Explain how nutrition and exercise habits early in life can affect health and well-being later in life.